A M Aerial Installations is a trusted, professional business with many years of experience, offering a comprehensive service in Aerial and Satellite, CD and Plasma / Projectors & Audio Visual, and multi-room installations. We cover all areas of London, Kent and Essex. Our engineers are specialists in receiving digital signals even in well known poor signal areas. 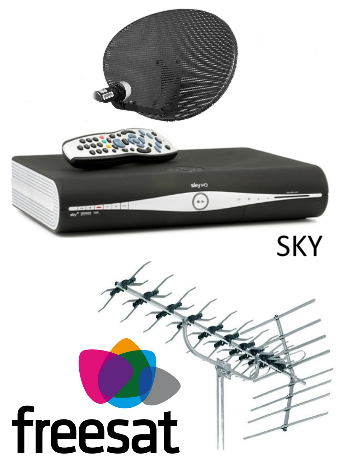 AM Aerials offers 100% free, competitive quotes for new TV aerial and satellite installations or servicing existing functional systems. Whether it be for a full multi-room installation, or even an extra TV point, AM Aerial excels at providing solutions to fit your needs and service with a smile. At AM Aerials, when we provide a quotation, there is absolutely no obligation to proceed with anything. You can rest assured there are zero hidden costs. What we quote is what you'll pay. All A M Aerial Installations include a one year warranty as standard. Offering peace of mind, AM Aerials ensure that not only will you get the service you require, but the quality craftsmanship our reputation is based on. We have a nearly 5-star rating on TrustaTrader.com and have many excellent reviews on RatedPeople.com.